Wine cellar effluent or waste water tends to be low in pH, low in nutrients and has a variable and often high organic load. The conductivity of wine effluent is a function of chemicals used in the cellar and this too is variable. The table below, describes the chemical properties of undiluted red and white wine. Research has shown that cellars use between 1 to 10 litres of potable/clean water to produce one litre of quality wine. The amount of clean water required to produce wine is known as the benchmark water usage and is expressed in litres water per litre wine per annum. As a general rule, the benchmark water usage is low for larger cellars and high for very small cellars. Water management in the cellar, winery or bottling facility plays a major role in water conservation. The number of grape varietals pressed and processed also makes a big difference in the amount of water required for the production of wine. Water is used in the wine industry for rinsing transfer pipes, cleaning tanks and floors, rinsing equipment and washing bottles. In many applications high water temperature and pressure suffice to do most of the cleaning. Wash down of tanks after fermentation however requires a combination of acid rinse and alkaline stabilization. Tartrate residue is not easily removed without chemical assistance. Similarly, floors and walls are frequently sterilized with all manner of chemical products. The South African National Water Act of 1999 (Currently under review) currently makes a distinction between discharge to a water resource and disposal via kikuyu irrigation. For both disposal routes emphasis is placed on sustainable reuse of the water. Irrigation is therefore a primary objective in the treatment of wine cellar waste water. From our experience, removal of the waste water organic load is the most capital intensive. pH neutralization is relatively inexpensive and reduction of conductivity is best achieved by judicious use of chemicals in the cellar. Best possible cellar management can only partially reduce organic discharge. Organic load in the waste water is analogous to sugar in coffee. It cannot be filtered out with conventional filtration. Like sugar it is biodegradable and can be removed successfully in a carefully designed biological environment. Typically wine cellar waste water has organic concentrations measured in COD units, and often in excess of 5 g/l. This is more than 5 times the concentration of domestic sewage which usually has a COD concentration of less than 1 g/l. ‘Out of sight’ spraying of waste water onto the land (most often on kikuyu pastures) initiates an underground and partial anaerobic cycle. Because the wine cellar waste water is low in pH and nutrients, organisms can only partially biodegrade pollutants in the water. A sub-surface, gelatinous bio-glue is formed that inhibits meaningful biodegradation. Eventually the pollutants move with the ground water flow and end up in a riverine catchment area. All around are naturally occurring micro-organisms that will consume biodegrade and remove almost all the polluting particles present in wine cellar waste water. Unaided this natural cleansing process takes many years. The challenge is to create a friendly environment in which these natural micro-organisms can thrive. And this is what HWT does. Each year we make small improvements in our treatment process and, in so doing, fine tune what nature does best. Our first treatment plants were constructed in 1998 and, in the next pressing season, our treatment plants will process more than 3 million litres of water each day. Wine cellar effluent is cleansed in an engineered environment called a bioreactor. If the right conditions are in place - correct pH balance and sufficient nutrient ratios - then pollutants in the water are easily biodegraded by naturally occurring bacteria (biomass). The biomass that grows is kept in a stable, contained environment. It has been observed that by supplying sufficient oxygen, the biomass performs best under the massively varying conditions so typical of wine cellar waste water. For this reason highly efficient diffuser dome and blower arrangements are required. 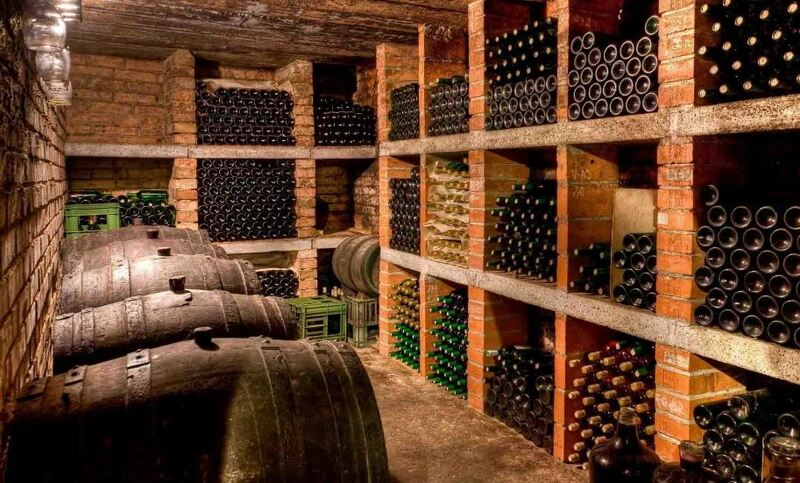 Treated wine cellar effluent quality is determined by the DWS General, Special or Irrigation Limits. In general treated winery effluent does not readily comply with the Special Limit with only biological treatment. There are dissolved compounds in the treated effluent that take too long for biodegradation. In these instances it has been found that chemical flocculation and precipitation provide a viable solution.